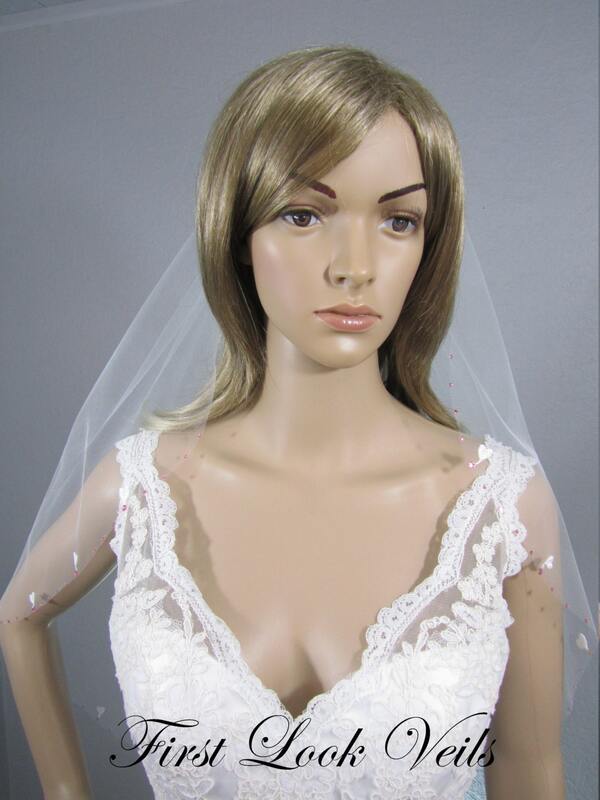 THE STYLE: We hand-cut this elbow length wedding veil using White Bridal Illusion Tulle. 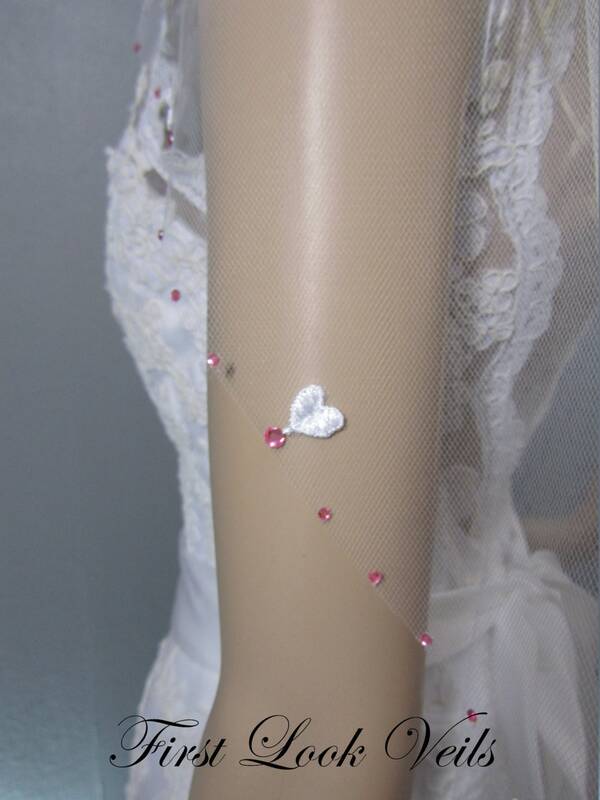 This sparkling veil is edged with Pink Crystal Bling and white lace hearts. 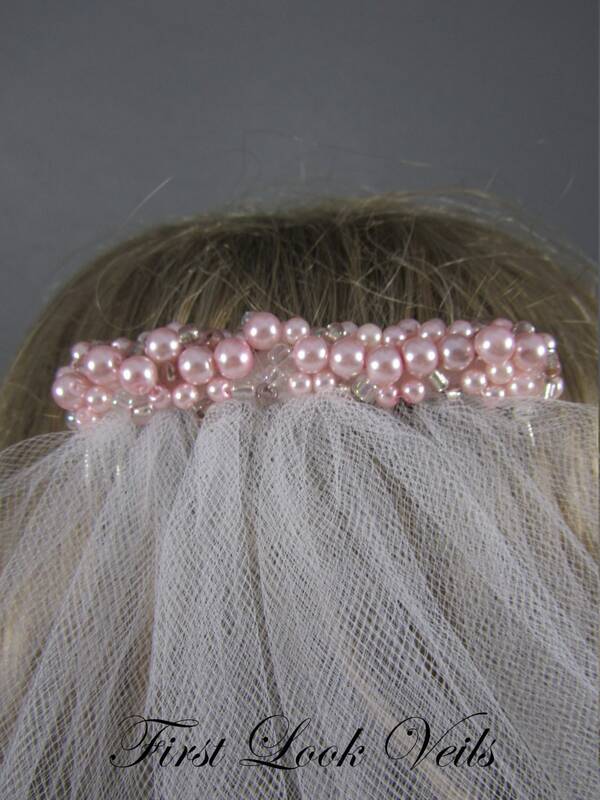 For the princess bride that loves softness that comes with wearing a veil but wants to incorporate color and BLING this is a great option for your wedding day ensemble. 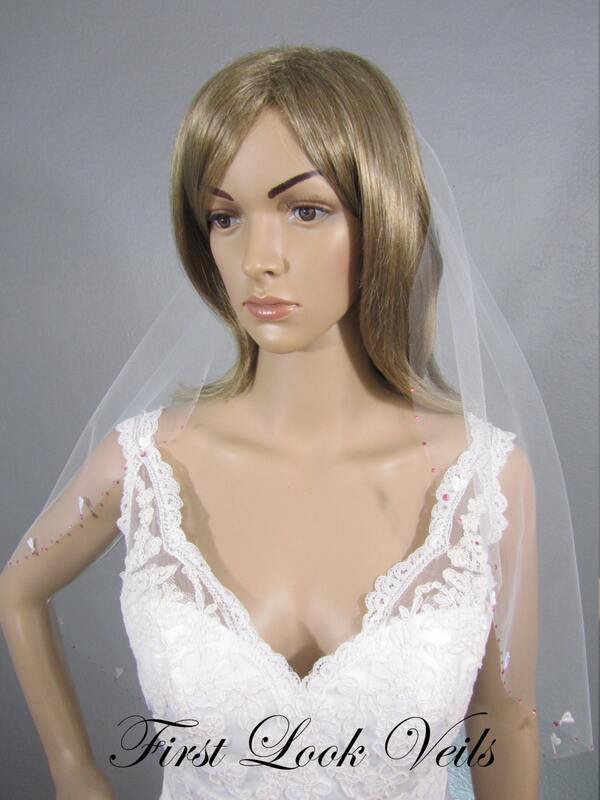 LENGTH: The pictured veil is an elbow (25" from comb placement to bottom of veil) length. 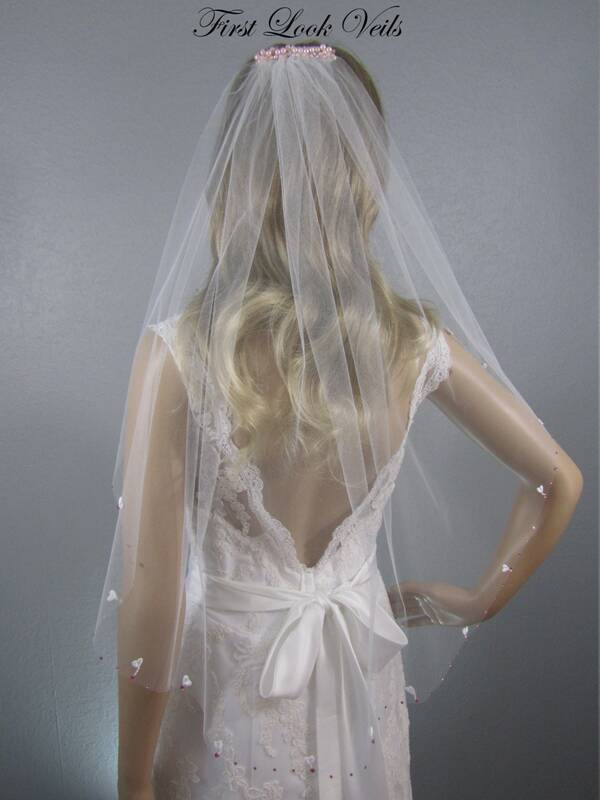 SHIPPING AND DELIVERY: This veil is completed can be mailed within 3 days of receipt of your order. 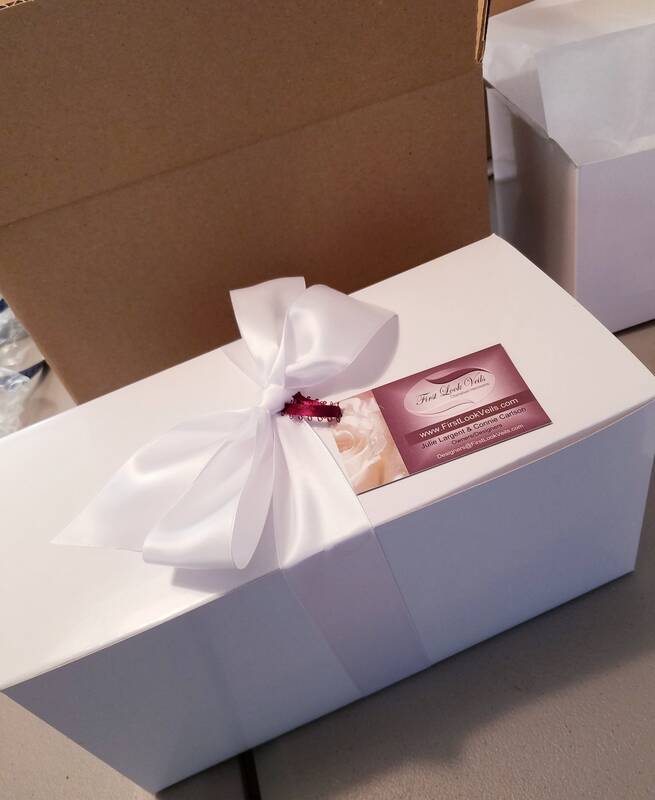 Delivery usually takes 2-5 days in the continental US and up to 30 days internationally.